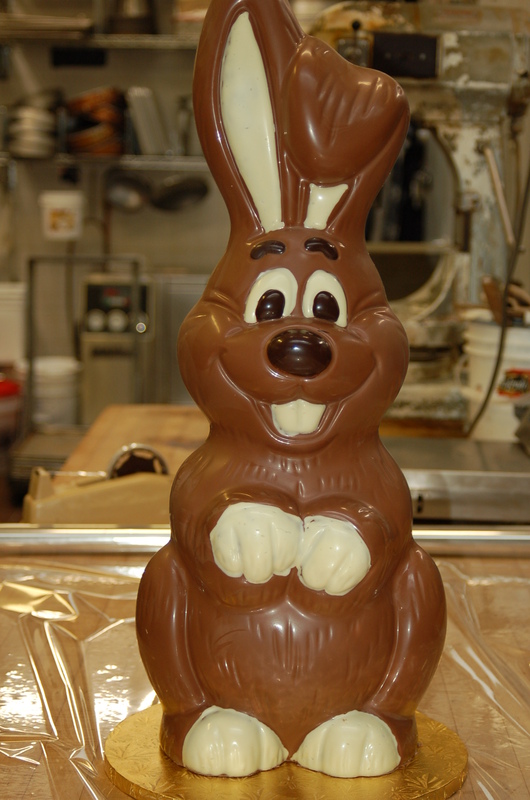 Our hand molded 26″ tall Easter Chocolate Bunny! He is nearly 6lbs of Chocolate! !